When I first started doing long rides, my training and preparation was almost entirely based on my physical readiness and not on the need to mentally prepare for a challenging bike ride. I’ve always understood the big role that mental preparation plays for elite athletes, but I never thought I had anything in common with them. After more than nine years of cycling, I’ve done quite a few charity rides and a small amount of racing and I always get very nervous beforehand. But I’ve never known how to overcome it except to just accept that it happens and live with it. I’ve also thought that my anxiety was more a female trait so I was interested to hear pro cyclist Luke Durbridge in an interview after he won the National road race championship a few years ago say that he was shaking on the start line because he was so nervous. It made me feel less alone. So how do you deal with nerves and self-doubt. 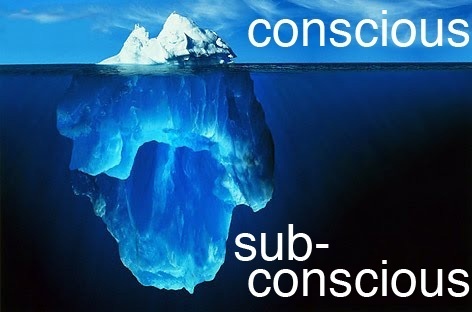 I describe it as my conscious and sub-conscious mind at odds with one another. When a long ride is looming, my sub-conscious mind begins churning up lots of negative thoughts about my ability to ride the distance. I feel like I can control my conscious thoughts by focusing on the facts at hand but the sub-conscious is at a deeper level. For me a typical goal will be to complete a long ride within a particular time. But I also like to focus on enjoying myself at the same time. That doesn’t mean that I’ll be deliriously happy for the whole ride but my aim is to enjoy it for some of the time (maybe the downhill sections). At least several days in advance of your event, reflect on your goals for the event, and return briefly to those goals each day. And if you don’t have a goal than set one. Having goals, and keeping them in mind in the run-up to an event, can be a great countermeasure against anxiety. Without goals, you may feel less anchored and less focused. Inhale deeply and slowly through your nose, feeling your chest expand from top to bottom, finally allowing your abdomen to push fully outward. Pause. Then steadily exhale through your mouth, pushing out that last bit of breath so your belly empties. Feel your muscles relax. Repeat five to 10 times. I learnt this type of breathing in yoga classes and it definitely helps in any stressful situation. I think this one is particularly important for women. Talk about your anxiety with your partner or close friends who understand how you’re feeling. Women make sense of things by talking about them so don’t bottle it all up and try to solve it alone. You’ll find that your confidant can reassure you that you ‘can do it’ but also give you the chance to make sense of your anxiety yourself. I find it moves me from my negative sub-conscious thinking to more positive conscious thoughts. The night before, visualise how your ride day will go and make sure you pack everything before you go to bed. That way you can get up in the morning and focus on the ride rather than what to wear, what food to pack, etc. Mentally rehearse every aspect before you fall asleep. This is easier if you know the course but can also be done by thinking back to other similar events. Riding at an appropriate level of volume and intensity the week before an event can have all sorts of benefits. It can maintain or even improve your mood, sustain your confidence, keep you from being too much “in your head,” and reduce stress. But make sure you taper towards a long ride. When you’re preparing for a ride and as you push through the pain during a ride, it’s natural to talk to yourself and it’s also natural to be critical of yourself. Studies show that both negative and positive self-talk influence performance. If you can’t spin your thoughts as quickly as you spin your wheels, develop a mantra like ‘relax’ to repeat when you need to block negative thoughts from rushing in. You could also try the famous mantra of pro cyclists Jens Voigt – ‘shut up legs’. It never fails to bring a smile to my face and take my focus completely off any physical pain. So how do you mentally prepare for a challenging bike ride? Share in comments or via the Women Who Cycle Facebook page.